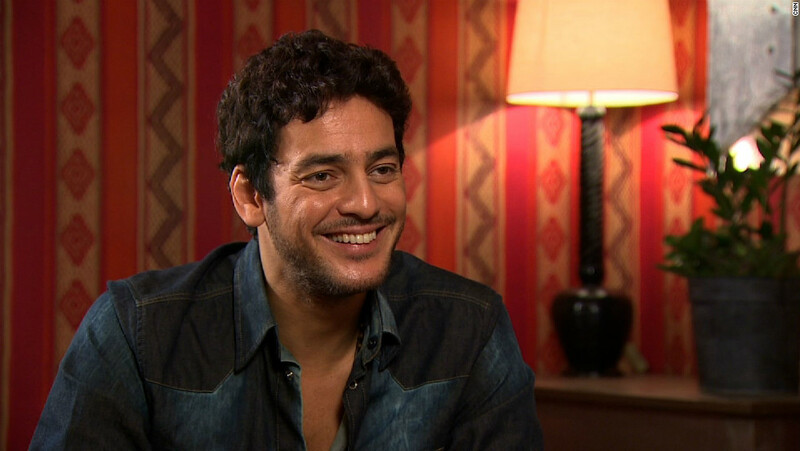 Khaled Abol Naga – an outspoken critic of the Egyptian government – stands accused of treason ( AFP )It was comical, farcical, droll. An actor’s dream if you were going to put the drama on stage or screen – but the three principal characters were actors themselves. The lead player, as usual in Egypt, was His Excellency Field Marshal President Abdel Fattah el-Sisi, and the theme of this theatrical production was an old and familiar one: the power of trade unions and the fear of real revolution. But we’ll start with the latest act, virtually ignored in the west where freedom of speech, workers’ rights and liberty are “precious”, “sacrosanct”, “close to our hearts”. This week, two prominent Egyptian actors, Amr Waked and Khaled Abol Naga, were expelled from the government-controlled Egyptian actors’ union for “treachery”. They were condemned for “betraying the nation” and working for “the agenda of conspirators against Egypt’s security and stability”. The head of the union told AFP that the two men “will no longer be allowed to act in Egypt”. Although Waked won the best actor award at the Dubai film festival five years ago and starred in 2005 film Syriana with George Clooney, the starring performance of both men came last Monday when they used the platform of a US congressional hearing to condemn the worsening human rights situation in Egypt and the extraordinary legislation which may allow Sisi to stay in power until 2034. Film actor Amr Wake is also accused of treason by Egypt (AP)Naga, a star of many Egyptian movies, described a country whose people were either imprisoned or lived in fear of arrest. Waked said that the regime run by Sisi, who staged a military coup against the first elected Egyptian president Mohammed Morsi in 2013, had developed an “allergy” to the truth, a claim which contained its own painful irony. For both Waked and Naga – like dozens of novelists, artists, journalists and other Egyptian literati – were among those who originally and naively supported the bloody coup which brought Sisi to power. Waked, whose criticism of the government earned him, this month, a sentence of eight years in an Egyptian prison (in absentia, of course, because he lives in Europe) pointed out that the union’s prohibition on his acting hardly mattered. “If I go back to Egypt, I won’t even have time to act,” he has said – because he’d be locked up at once. But now we enter a more serious drama: Sisi’s crushing of all dissent within Egypt’s traditionally powerful trade union movements, which have historically fought the British colonial power as well as the Nasser and Sadat regimes, and which played a powerful but tragically disregarded role in the revolution which destroyed the dictatorship of Hosni Mubarak. Just over a year ago, the Egyptian authorities excluded independent trade syndicates from participating in the first trade union elections to be held in 12 years. Amnesty has complained about the Egyptian government’s “punitive campaign against workers and trade unionists to deter and punish them from mobilising or going on strike”. Romantics like to portray Egypt’s independence struggle as a battle for freedom by a nationalist, anti-colonial people who demanded democracy, free elections and dignity after years of oppression under a succession of dictatorships financed by Britain, Russia and then by the United States. But this is only partly true. It was also a religious struggle (hence the brief Morsi interlude after Mubarak’s overthrow) and, less well publicised, it was also a workers’ demand for freedom and a living wage. Egypt’s great cotton industry in the Delta north of Cairo has been the centre of this often forgotten revolution, an export centre whose workers have great industrial power – if and when they are permitted to exercise it. They struck under British rule and they staged successive rebellions under Mubarak. The most important of these occurred in 2006 when women cotton workers led their menfolk in an uprising against the regime in the big industrial city of Mahalla. They used social media to bring tens of thousands of workers from the countryside into the central square of the city – it was, in fact, also called Tahrir Square – and set up tent encampments under fire from police tear gas. They even called for the overthrow of Mubarak – a demand typically ignored by most of us journalists, who were only interested in Islamist opposition to Egyptian government rule – but it impressed the dictatorship of the time, which immediately gave the citizens of Mahalla pay rises, improved conditions, new workers’ canteens and shorter hours. And, although we reporters did not identify this when it happened, the cotton workers of Mahallah were among the first industrial groups to arrive in Cairo’s far bigger Tahrir Square when the uprising really got under way in January of 2011. The Egyptian army, which stage-managed the aftermath of the revolution, realised very shrewdly that working class solidarity could be just as dangerous as Islamic unity. The Muslim Brotherhood, which was not a “terrorist” organisation – despite Sisi’s present-day accusations – was poorly led, politically unorganised and internally divided. The independent trade union of Egyptian workers who had now thrown off the official union movement of government stooges, was a quite different creature. For it, too, was an army; and every bit as much a child of the Egyptian people as the soldiers who were entrusted to “guide” the future of the post-2011 revolution. Official realisation of this was all too clear by 2015 when the Egyptian Supreme Administrative Court decided that the right to strike “goes against Islamic teachings and the purposes of Islamic Sharia” law. This ruling came only a day after Sisi had attended a labour day celebration alongside the regime’s own General Federation of Egypt Trade Unions, whose president, Gebali Al-Maraghi, described Sisi – who would win the supposed presidential election last year with 97.08 per cent of the “votes” – as a hero and “Egypt’s saviour”. In case the workers’ masses had missed the point, “trade unionist” Maraghi said that Sisi had restored Egypt’s dignity, a claim which even Sisi found deeply embarrassing. “This is not proper,” he said, insisting that millions of people had saved Egypt. But then Maraghi handed Sisi a “code of honour” of ‘his Egyptian workers whose second article rejected strikes and committed the union to “dialogue with the government and business owners”. Even more shocking, Maraghi gave a newspaper interview in which he said that “our task is to carry out all the demands made by the president in his meeting with workers, increasing production and fighting terrorism”. From then on, all talk of independent unions was over; workers’ representatives were imprisoned or threatened with arrest. The student held meetings with some of these union representatives, in Mahalla as well as in other Delta cities and in Cairo, and then was found by the side of a Cairo suburban ring-road, his face and body hideously disfigured by the torture under which he died. Sisi’s cops waffled about gang murders and “evil people”, and even suggested poor Regeni was killed in “a lover’s argument”. He was not. The Italian government concluded he had been murdered by the regime’s state security police because his enquiries – innocent enough, in the context of his University of Cambridge thesis – brought him too close to the men running the workers’ committees which so terrified the regime. Support free-thinking journalism and subscribe to Independent MindsHe had indeed met these men: some of them took videotapes of Regeni asking them questions and, in return, being asked for foreign support for their syndicates. And so the police picked up Regeni and he was never seen again. The British Foreign Office only bothered to complain about the murder after it had received 10,000 signatures of protest from within the UK; and we all know right now – today — how much signatures count for British governments. But the Italian government exploded in anger. Regeni’s mother would not release photographs of her son after death because his wounds were too terrible. Western embassies in Cairo, including the British, did nothing – even though they were given the name of the senior police officer in charge of Regeni’s torture and murder. So the little fandango over two Egyptian actors this week had far darker historical and murderous roots than we might have thought. They stretched back into history and they still exist beneath the carapace of Egypt’s present government authority. The Egyptian actor’s union may be a farce but the power of workers is an ever-present danger to Middle East regimes. One day, Regeni’s successors will complete his PhD work and write their own theses on the Arab awakening of 2011; and it will likely be a different story to the one we wrote eight years ago from Tahrir Square. Meanwhile, it would indeed probably be a good idea if messrs Waked and Naga stayed abroad.